I love my beer! 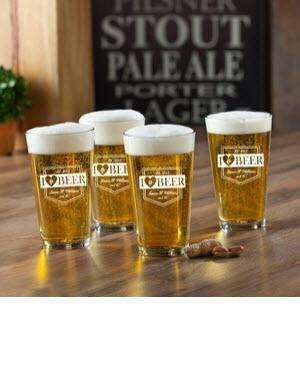 Just right for any cold beverage, our Pub glasses feature a printed Pub logo in a choice of styles and ink colors. Declare yourself the proprietor of the Neighborhood Pub or local Sports Bar. In your home bar or as a personalized gift, these glasses are sure to be a hit. Each glass holds 16 ounces. Personalize with name up to 15 characters and established year. Price: $48.00 In stock! - Browse this brand: JDS MarketingOur products are custom made to your specifications. This product ships up to 2 weeks after your order is placed.